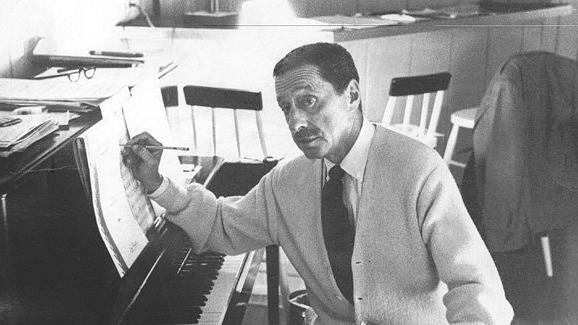 Arlen was an American composer and is known for writing songs like “Somewhere Over the Rainbow,” “That Old Black Magic” and “Stormy Weather.” Throughout his seasoned career, Arlen had the opportunity of working with the likes of Truman Capote, Johnny Mercer and Ira Gershwin, to name a few. “The Wonderful Wizard of Song: Harold Arlen” is a show that will bring Arlen’s life and work to the center stage, featuring a five-person cast and accompanied by piano and bass. Christine Small, membership chairman of the Northwest Indiana Concert Series, is very excited for the show to take the stage. “There will be singers and dancers along with a wonderful narration of his life,” Small said. “I’m excited to hear the good, old standard songs sung by professional singers and acted out. The production quality is really good without having to go to Chicago; and with free parking too,” Small continued. “I think they (Reciprocity concert shows) add to the cultural fabric of the area. People look for good, professional, live entertainment. I would think that music has a space in our society along with sports. It’s not the symphony, but its good live music that people can relate to,” said Small. The Reciprocity Concert Series is a showcase of nearly 20 local high caliber concerts available for a subscription cost. Shows in the Reciprocity Concert series can be found in Munster, LaPorte, Portage and Warsaw. Season subscription passes for the 2015-2016 Reciprocity Concert Series are still available. Season tickets are $75 per adult, and school aged children are $15. Single tickets to performances can be purchased the night of the show for $30. These single show tickets are available 10 minutes before the show starts, to ensure that season ticket holders have secured seats.